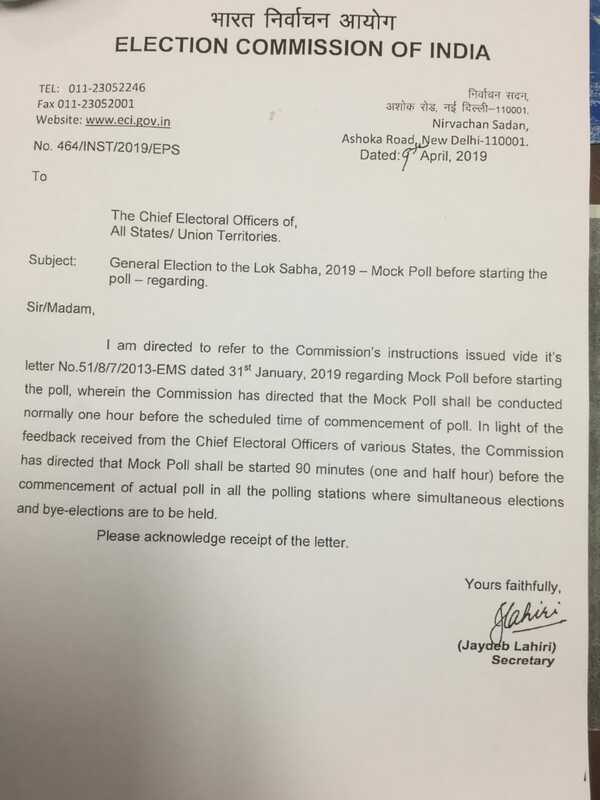 No:464 Dt:9.4.19 Mock poll to be conducted 90 mins before. i.e. mock poll to start at 5.30am.